Niamey – The Bible was spotted unburnt in the middle of rubble left after a church was burnt down in Niger’s Niamey, following violent protests across the West African nation over cartoons of Prophet Muhammad that were published recently on the special issue of French satirical magazine Charlie Hebdo. At least 10 people have died and 45 churches and homes of Christians, were destroyed. 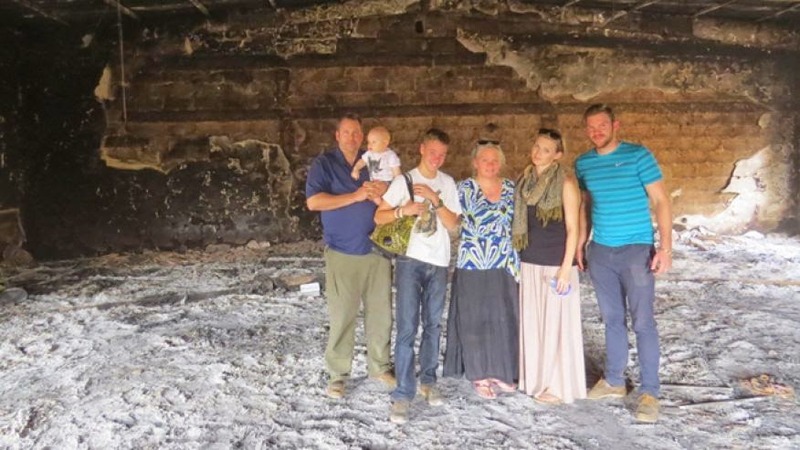 Neal and Danette Childs have been Christian missionaries in Niger since 1998. Neal oversees Reaching Unreached Nations, a ministry of 36 churches across the country. It was Jan. 16 and by the week’s end Muslims had set fire to at least 45 churches and looted the homes of a number of Christian ministers. Ten people were killed. Followers of Christ fled for the lives. Two of those churches were destroyed. The mob also attacked the parsonages — leaving two ministers and their families homeless. That pastor has a pregnant wife and three children. They are now living with Neal and his family. But something rather remarkable happened when the mob attacked the other pastor’s house. “While the mob was burning the front of the house, his neighbors came in through the back and they hauled out clothes and everything they could get through the back window,” Neal said. The Christian pastor’s neighbors are Muslim. “They helped to save the pastor’s property while the crazy mob was burning everything,” Neal said. The following day Neal and his wife ventured outside to survey the ruins of the church house. 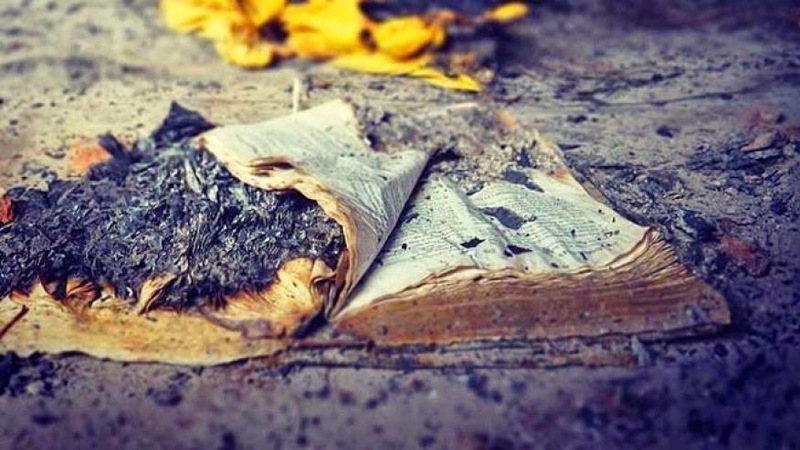 The Bible was charred but not destroyed, and it caused a stirring in the hearts of the Christian couple. “It was an emotional moment as you see your church in ashes,” Neal said. Danette took a photograph of that Bible, and it ended up in the hands of Franklin Graham, the president of the Billy Graham Evangelistic Association. Graham posted the photograph of the Bible on his Facebook page, along with a sobering thought. “Can you imagine the international outcry if this were the Koran?” he asked. Could you imagine the international outcry if Christians had burned 45 mosques? But that’s not what happened in Niger. The Christian community did not retaliate. They did not respond with angry voices. Indeed, Christian leaders in Niger held a press conference and announced they forgave those who burned down their churches. The Muslim mobs may return, but that’s OK with Neal. Good words spoken by a man with a deep and abiding faith in our Lord. 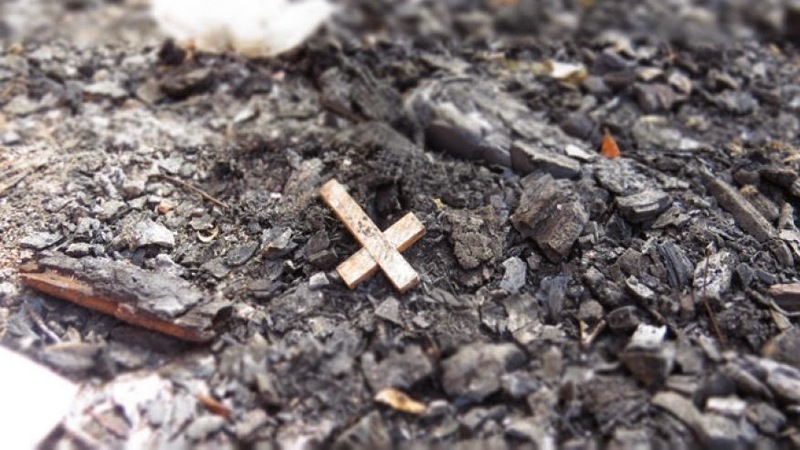 And yet I still can’t seem to get over the image of that charred Bible found in the ashes of that church house. I’m reminded of a passage of Scripture from the Old Testament.